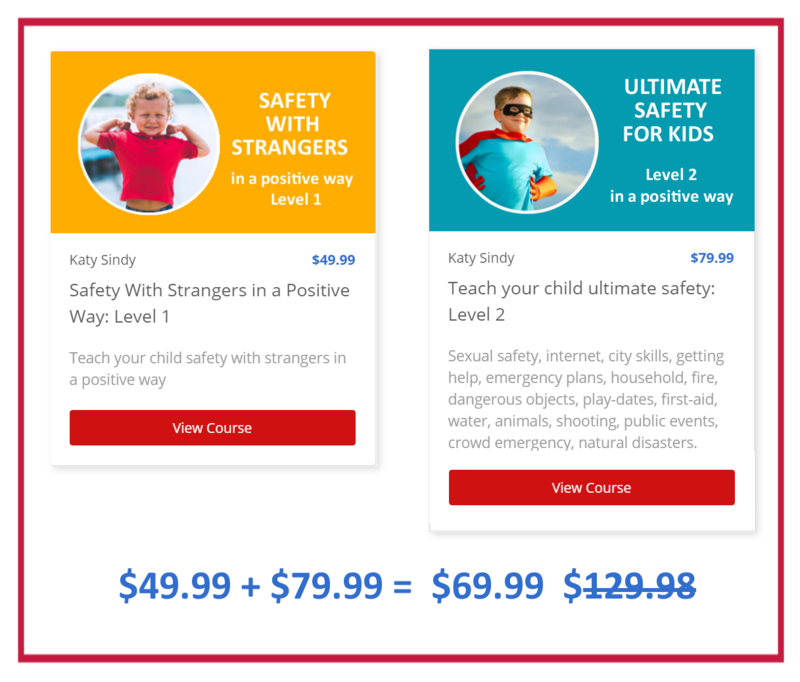 This is a pre-sale for the “Teach your child ultimate safety: Level 2” course of the Be WITH kids safety training. Pre-order now - the bundle checkout button is at the very bottom of the page. Take advantage of the best price. And receive early access to the new lessons*. All lessons are based on hands-on, practical, immediately applicable games and experiences. You don’t need any preparation or special knowledge to teach this course to your child. * The lessons and games of the Level 2 are released on a drip schedule. ** Level 2 will be fully launched in January 2018 for the price of $79.99. Now you can save your spot for $20.00!